Economists Predict Recession, But How Soon? 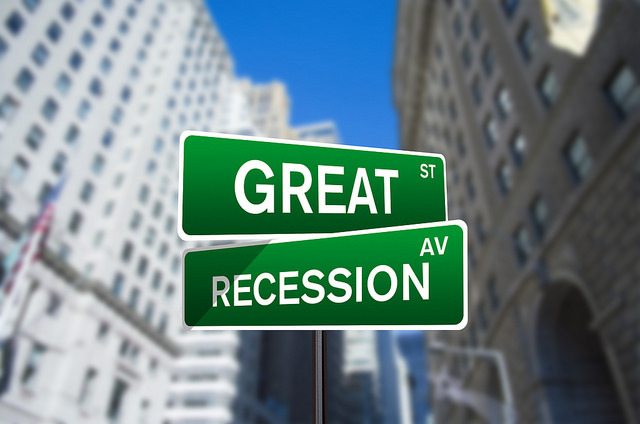 There’s been a pretty steady drumbeat from leading economists — a recession is coming. 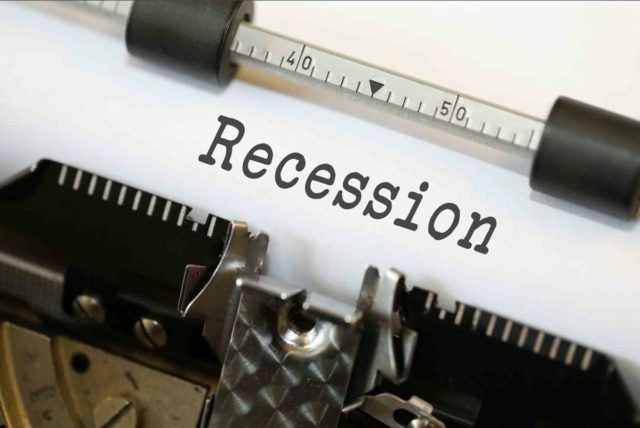 In fact, at this month’s National Association of Real Estate Editors journalism convention, all three economists on a dais one Friday found themselves agreeing on two things: a recession is coming, and real estate won’t be the impetus this time. The only hope many younger generations have to accumulate wealth is to stay cozy with grandma. Since 1995 (over a decade before the Recession), the median wealth of 25-34 year olds declined 39 percent, while 35-44 year olds declined 27 percent, and 45-54 year olds’ wealth declined 15 percent. There have been potent gains reported from 2013 to 2016, but obviously not nearly enough to offset long-term losses. 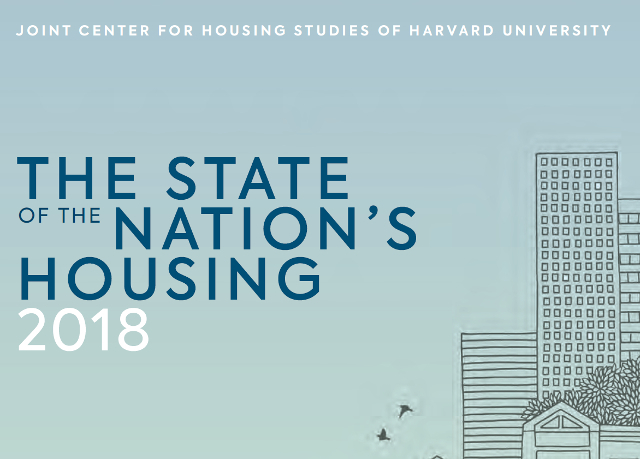 The main culprits are excessive student loan debt and the decline in homeownership rates. 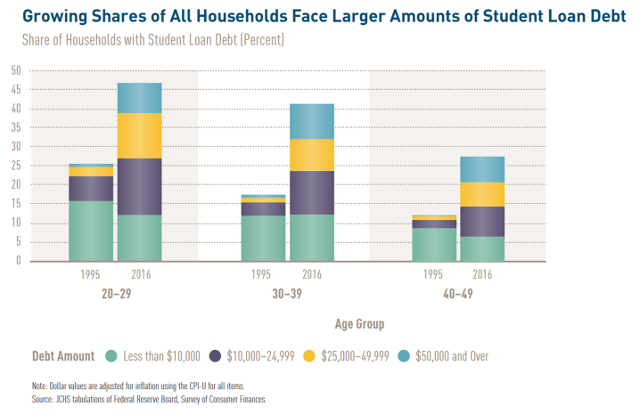 You might say the growth of student loan debt has heavily contributed to lowered homeownership rates. To me, the chart below demonstrates why down payments are harder for younger buyers to save up for. 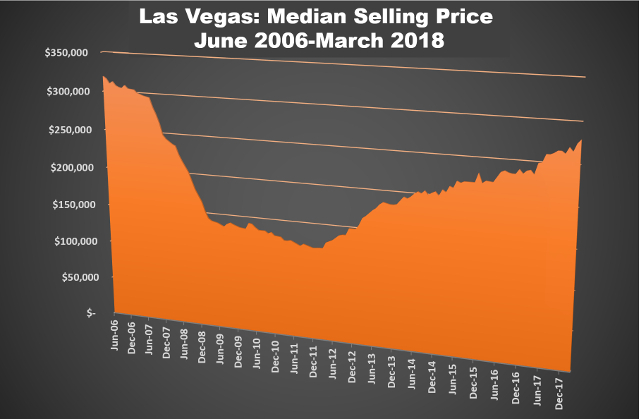 News media loves the biggest car crash, so during the Recession, Las Vegas and a few other cities were ever-present in the headlines of bad real estate news. The table above illustrates how deep the crater went and how far it’s returned to pre-Recession levels. For homebuyers in the market, you may have missed out on the gains from the depths of the market, but there is still room for building equity. I say that because, as of March 2018, The Greater Las Vegas Association of Realtors reports just over a month’s supply of homes on the market with roughly 30 percent fewer homes listed this past year (but 6.4 percent more condos). Couple that with a 15.7 percent year-over-year increase in single-family home sales prices and a 30.1 percent increase in condo prices. That translates into a median single-family home selling price of $280,000 and $160,000 for condos and townhomes. That compares with a historical average of 5 percent annual appreciation. All this activity and you’d think you were in Dallas. 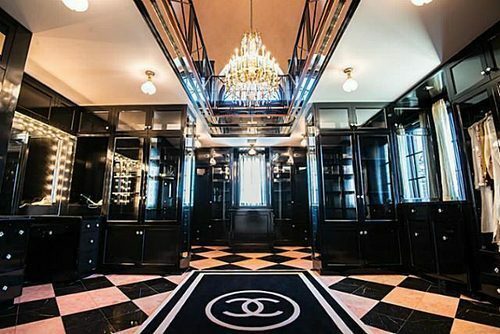 Head over to SecondShelters.com for more on the Las Vegas real estate heatwave. 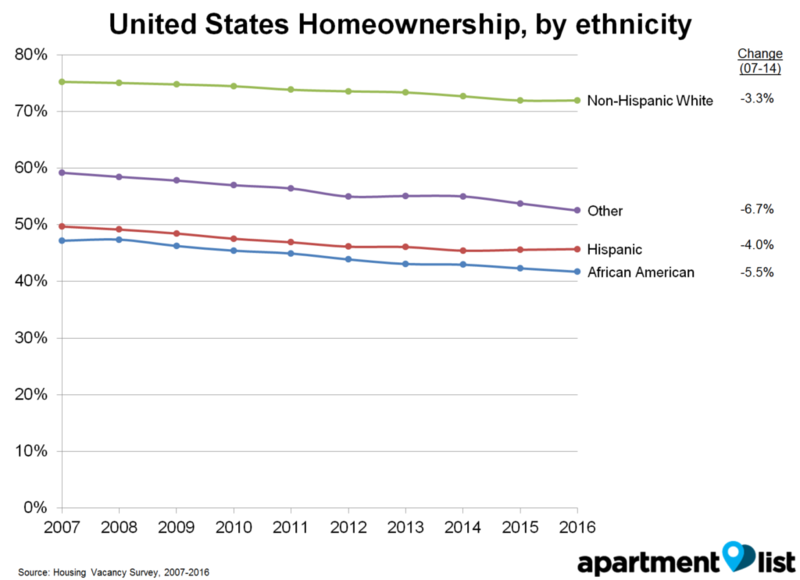 Minorities were hit the hardest by the housing crisis, and show lower levels of homeownership today. The economic recession of 2007-2009 affected most Americans in depressingly real and tangible ways. Two groups of Americans are disproportionately affected, still, by the downturn. A new study by Apartment List shows that the economic downturn had the greatest impact on homeownership among minorities and young Americans aged 18-45, particularly those in the 35-44 age range. Analysts at Apartment List, an apartment location website, looked at Census data and reported U.S. homeownership rates in general have fallen steadily, recently dropping to their lowest levels since 1965. In Dallas, the homeownership rate fell from 60.9 percent to 58.7 percent from 2007-2016. The drops were biggest among African Americans, where homeownership fell by 6.1 percent. 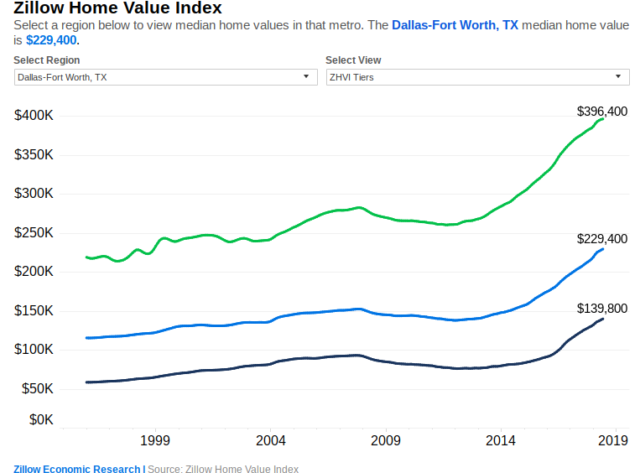 During this same time period, rents increased by 4.2 percent in Dallas, even as owner costs (mortgage, maintenance, etc.) fell by 11.8 percent. So the people least able to afford it were paying more (in rent), less able to save toward a down payment, and therefore less likely to buy a home. I guess you can thank no income taxes and pot. Because Dallas and Denver are on a high! I really, really wish I could be a fly on the wall in Robert Shiller’s office someday. I say this because when I heard him speak as the huge national recession was setting in, this was about 2010, I had the chills. I had the chills because I truly thought housing was over as we know it. I thought my kids and grandkids would be doomed to leasing. He spread so much doom and gloom in my soul I may be permanently scarred. Bob Shiller was not so bullish on housing back then. 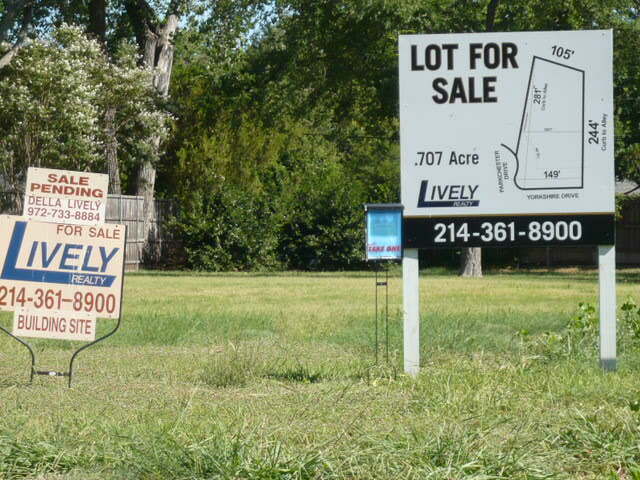 But now the company that bears his name reports that Dallas-area home prices are up 10 percent from a year ago. 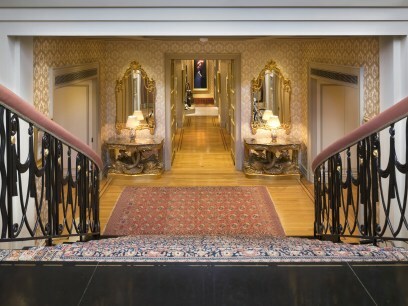 They have hit a new record high in the latest Standard & Poor’s/Case-Shiller Home Price Index.